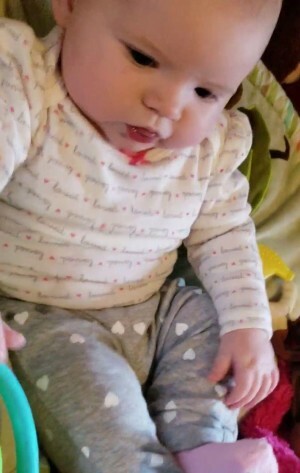 Our angel Serenity Jean Hart, born November 6 2018 was called home Saturday March 9 2019. Though she is gone, the impact and joy she brought in her short 4 months with us, never will be. She was to perfect for Earth and though the pain is barely livable. We look forward to seeing her again in heaven. She was and always will be our angel that touched everyone's heart and lit up a room with her presence. Who loved her very much. Guerry Funeral Home of Lake City is in charge of the arrangements.